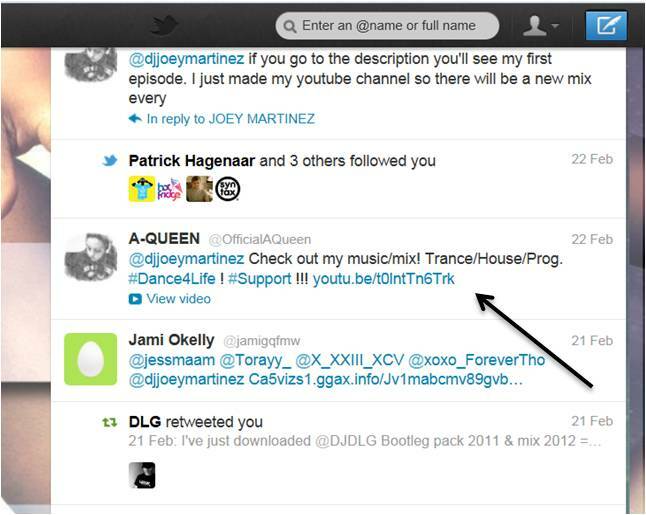 I keep saying that I want to share music and help promote other DJs/Producers and today I am going to do just that. If you're a budding DJ/Producer of Electronic Music, my blog is just for you! 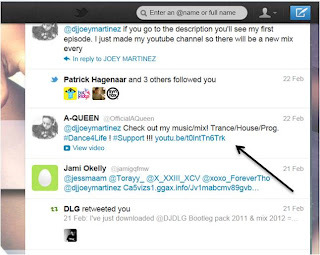 On the 22nd Feb A-Queen, sent me a message via Twitter. That is all you have to do if you want to promote your music. You can find a mixture of live Trance, House and Progressive mixes on A-Queens YouTube Channel. Be sure to check them out if you like your beats on the darker side of House Music. I actually prefer these sort of videos now as they are live recordings. I am tiring of hearing mixes that have been uploaded to SoundCloud/Mixcloud that have blatantly been mixed using ableton when the DJ claims to be using CDJs or another piece of gear. These videos are very entertaining. Great Videos! They are very original too and refreshing to watch. New videos are uploaded every other Friday so make sure you subscribe to A-Queen's channel if you like the videos and to show your support! I will promote and feature every item sent to me and that is a guarantee. Every marketing expert will tell you that by sharing links it will boost your SEO optimisation therefore increasing traffic to your site. More hits = more coverage = more exposure = more success! Makes sense doesn't it? You have nothing to lose but everything to gain. Just drop me an inbox/message.